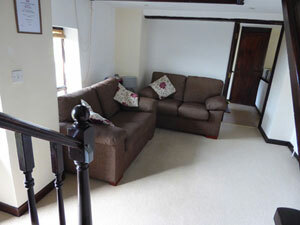 The Cottage at East Creech Farm - for a relaxing country holiday! 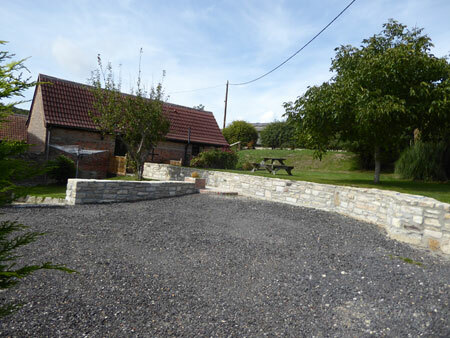 The Cottage - Nestling in the beautiful Purbeck Hills is within easy access for many attractions, the ideal location for families and couples. 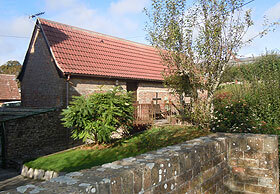 The Cottage was originally an 18th Century barn which has been converted into a very cosy holiday cottage. Many of the original features have been retained. With a backdrop of rolling fields and woodland this is a beautiful spot for a most relaxing and enjoyable break. An indoor heated swimming pool is available for use by guests of the cottage, subject to opening and closing times. 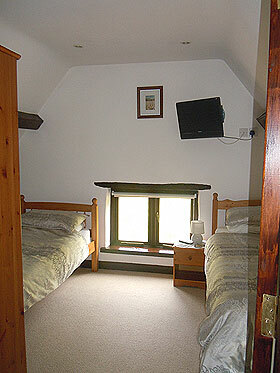 The Cottage has one double bedded room, and one twin bedded room. Both bedrooms have a TV and DVD player. 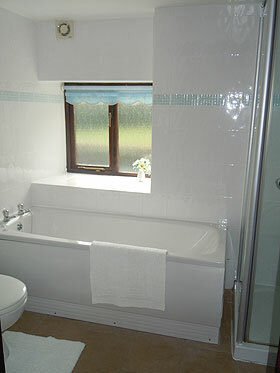 The bathroom is situated on the ground floor. The kitchen is fully equipped with a washing machine, fridge with freezer compartment, dishwasher, microwave, electric cooker and kettle. The lounge is the heart of the building with original beams and is open to the first floor landing. There is a TV, DVD player and Free View box. The cost of heating and electricity is included in the rental. The Cottage is suitable for guests who wish to explore the surrounding countryside or simply stay indoors and relax. £430 to £710 per week. The Cottage operates a no-smoking policy. The Cottage closes during January. East Creech Farm is within easy access to Poole (with its internationally renowned natural harbour), Bournemouth, Swanage (with its steam railway), Corfe (with its historic castle and miniature village), Dorchester, Blandford, Sherborne and Weymouth to name but a few of the larger places to visit.